The Open Sourcerer pointed me at Snake Wrangling for Kids as a great kid-friendly guide for learning Python. My dream now is that when a kid clicks the big Help button in PyJunior, that the book pops up in native GNOME help format. Problem is: I have absolutely no idea how to convert Snake Wrangling for Kids (which is available in LaTeX and PDF format) into this help format, and don’t really have any time to contribute to this either. If you are interested in helping, do let me know in the comments on this blog entry and we can talk more. If you just want to crack on and make the docs love happen, do feel free to go ahead and submit a merge proposal when you have something. I’m very interested in this project, and it sounds like a really neat idea. I’d love to help out wherever I can. From a few search results Gnome help is in Docbook format. Not sure if that is entirely correct. Sadly I don’t know how to convert LaTeX to DocBook or anything like that, so help in that area would be limited. Looks like Paul Cutler has started something. Hopefully we can find a way to contribute. Sorry. I misspoke. It’s being converted to Mallard, not DocBook. New gnome help is being written in Mallard. I talked to Shaun McCance, the GNOME’s fearless documentation leader, and there is no easy way to convert LaTeX to Docbook or Mallard. (Daniel – Mallard is the new XML schema for GNOME help that we are transitioning to – more at projectmallard.org – much easier than Docbook to work with). I don’t think it will be a ton of work to convert this to Mallard, even by hand as we can just copy and paste the paragraphs after I get the chapter skeleton set up. I’ve created a gitorious project at http://gitorious.org/swfk and will have a skeleton up later tonight. The hard part is debating how I want to setup the chapters, leaning towards breaking them up into separate pages by section like the author did. Python might seem like the coolest & easiest language to people who already know one of the other popular languages (C, Java, C++, C# etc) but its not really good for educating people with no prior knowledge of programming how to program. Must admit though its still better than staring them with C or C++. 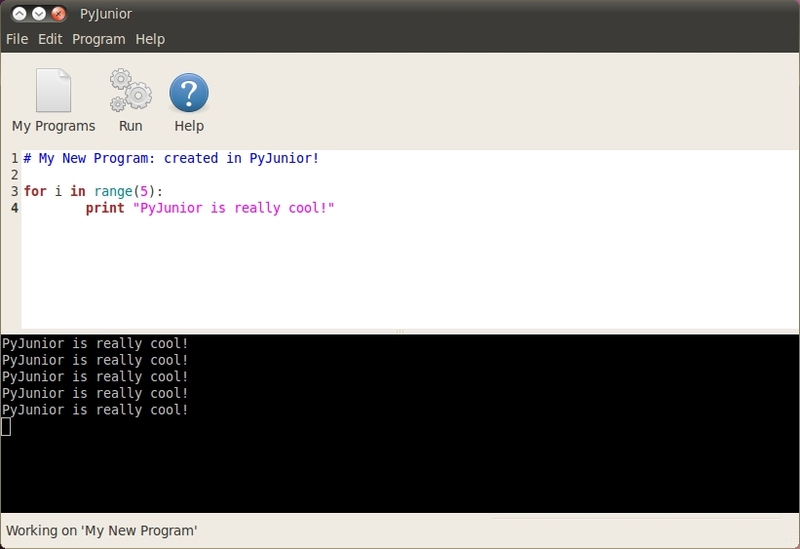 As a college professor who teaches students that have never seen programming before, python is a great language. I have tried several languages. Wow! Pascal??? I try and stay current to a point, I don’t want to teach them a fad language for it to die in a few years, so we stick to languages that show promise and/or have been around a while, like java, c/c++, php, and python. However, my first language was Pascal, that was in 97, but still it was Pascal. I’m very interested in working on this project. I have a good deal of LaTeX skills, but not much experience with gnome documentation. I’m happy to mentor someone with this project. DocBook would probably be the most appropriate format, but it will be a big job to do the conversion. We can strip the LaTeX macros I guess. Either way, send any interested parties to the ubuntu-doc list (https://lists.ubuntu.com/mailman/listinfo/ubuntu-doc) and we can help them get started. Hmmm, this is a linear (book-type) document. Mallard is best suited to topic-based documents. DocBook would be a better choice IMHO. There is also “Invent Your Own Computer Games with Python” at http://inventwithpython.com/ (which is similarly licensed) and more generally the “Ideas for Teaching Computer Technology to Kids” blog which lists lots of resources and ideas about how to solve the “problem”. I think that we can get a good start by using plastex, I didn’t try it yet (this is a good opportunity to try it), but it seems like exactly what we need. We’ll need to write some code but that shouldn’t be too difficult (the main point of PyJunior is writing code, isn’t it ;-)) I’ll try to look at this tonight. It is a visual game that helps you start thinking abstractly and understand statements, functions. Last time I checked, lyx could export as docbook – if thats the format you need. http://www.tug.org/tex4ht/ TeX4ht is a system for converting TeX/LaTeX/ConTeXt/etc. documents to HTML, various XML flavors, braille, etc., optionally using MathML. We from kanchipuram Linux User Group, [http://kanchilug.wordpress.com] like to assist you in this project. Guide us on what technologies we have to learn before starting the work. What ever happened to Jokosher? I like opportunistic development but what about maintaining programs? I would love to help. Just tell me what to do and I will get on it. Do we need to write something like a python tutorial for kids, or do what needs to be done? also why not keep the guide in pdf? I’m just catching up on my RSS feeds as I’ve been out of touch for a while. I would really like to help out with this project in any capacity I can. One of my true passions is the teaching of Engineering, Technology, Science, and Math to kids and I support whatever I can to help that. I just finished volunteering for this season of the FIRST Robotics Competition where I was mentoring the programming team for a high school robotics team. Now that I have some free time, I’m looking for another worthy project. Let me know if I can help out. I noticed the original comment/trackback on my site, but been too busy to reply. My apologies. Not sure how far you’ve actually gone with this project, but for your info, a while back I did write a python script to convert from the latex used in SWFK to HTML. At the time, I was thinking I might release an HTML version, as well as PDF — however the conversion process wasn’t perfect, and the idea of having to separately maintain an HTML version, didn’t appeal. In any case, it does the basic conversion, including a call to ImageMagick (convert) to transform the EPS image files to PNG. Which might make your job a little easier. Feel free to email me if you want to use it.